Cycling Centre athletes embark on all kinds of adventures over the course of the year. The calendar lists events, links, and names of athletes participating in them, but sometimes riders partake in a bigger adventure to raise funds for charity. This page displays more information about these fundraising efforts, including the purpose of the event, blogs to follow along on the adventure, and how you can donate to their fundraising goals. Tour for Kids is an important, sustainable source of funding for the incredible childhood cancer camp organizations in Canada. 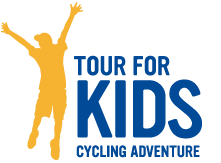 Since 2004 Tour For Kids has raised and distributed more than $11 million to these amazing organizations. Tour For Kids has also assisted in establishing a camp at SickKids hospital, rejuvenated the aging infrastructure of several overnight camps and improved the delivery of service across all three camps. Since camp is free to those in need, Tour for Kids funding means children with cancer and their families can take a break from their stresses while enjoying a camp experience just like other kids. Wellspring is a network of community-based support centres offering programs and services that meet the emotional, social, practical and restorative needs of people living with cancer and those who care for them. The Wellspring Ride for Cancer Support is a fundraising cycling event in support of the cancer cause and is comprised of two cycling events. The Peloton Challenge: an epic, 8-day, 24-hour cycling relay from Toronto to Miami (September 9 - 16, 2017). The Peloton Experience: a 1-day cycling event through southern Ontario with a 60 km or 110 km option (September 9, 2017). ​Launched in 2016, Everyday Miracles International (EMI) establishes clinics where people in need have no access to primary healthcare. Cycling Centre athlete Rebecca is part of this group of medical teams that visit Central America and Haiti on mission trips. They are looking for professionals who are able to assist with medical care such as doctors, nurse practitioners, dentists, pharmacists, etc. The dates for the 2017 Haiti walk-in clinics are Sept. 24 to Oct. 1 and Nov. 2 to 12. There are currently over 70,000 people in Haiti who have underserved medical needs and need our help. Following are links to find out more about the charity and the projects, how to sign up to volunteer or donate. 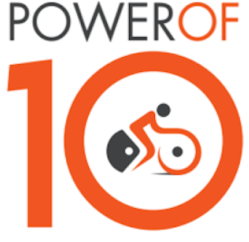 Power of 10 is a unique indoor cycling challenge that supports the Lighthouse Program for Grieving Children. Teams of 10 will battle it out for 100 minutes in a party atmosphere as they face off against other teams for mini-challenges and the chance to win great prizes. 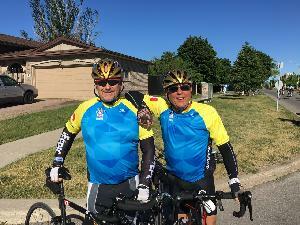 Every year, Cycling Centre athletes participate in the Ride to Conquer Cancer; a ride that raises money for the Princess Margaret Cancer Centre. The ride is taking place on June 10 and 11, 2017, with legs of 100 km per day. Coast to Coast Against Cancer Foundation, Renee Heisz, and Dynamic Health and Performance are inviting friends, families, businesses and community members to participate in the Rockstar Inside Ride on Feb. 7th, 2016. 100% of the funds raised support kids cancer initiatives. What: Teams of 4-6 riders ride 5-10 min. each for an hour. Cost is $600 per team with 100% going to the charity. In September 2015, Dave Heisz was a member of a team of athletes that road 220 km a day across Canada to raise funds for childhood cancer. At the start and end of each day they participated in community events and visited many of Canada’s 17 pediatric oncology centres and hospitals where the cancer community shared inspiring stories of strength and hope with the cyclists. It was a physical and emotional journey. As Canada’s only national charity devoted to fighting childhood cancer, Coast To Coast Against Cancer ensures 100% of receipted donations are invested in improving the survival rate and quality of life of children and their families impacted by cancer. In August 2015, five brave and possibly slightly crazy people, took on an incredible challenge of a lifetime to support people living with Motor Neurone Disease. Cycling Centre athlete Michaela Raisch-Berkhoff was one of the "crazies" who took on a 164k Cycle, 150k Kayak and a 10k run along the Seine River in France finishing in Paris in just 3 days. Their goal was to raise £70,000 to support the work of Care Centres based in London. Donations are still being accepted.